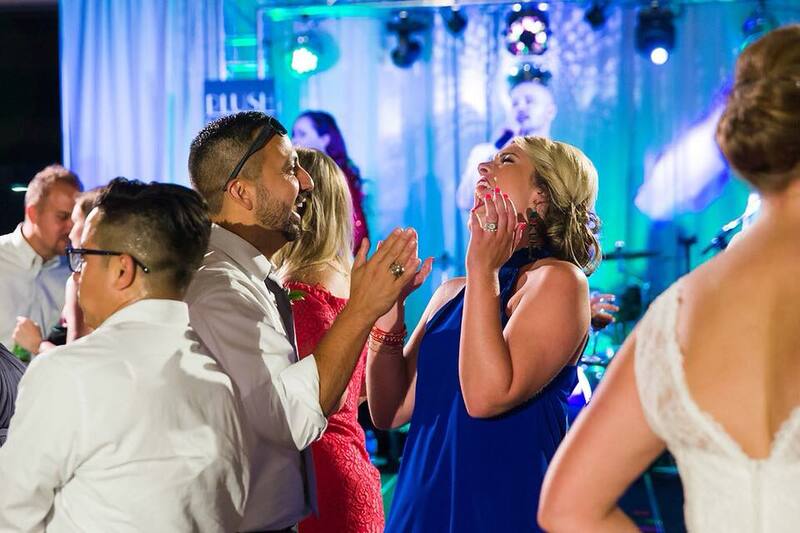 Because lavish should still be fun. 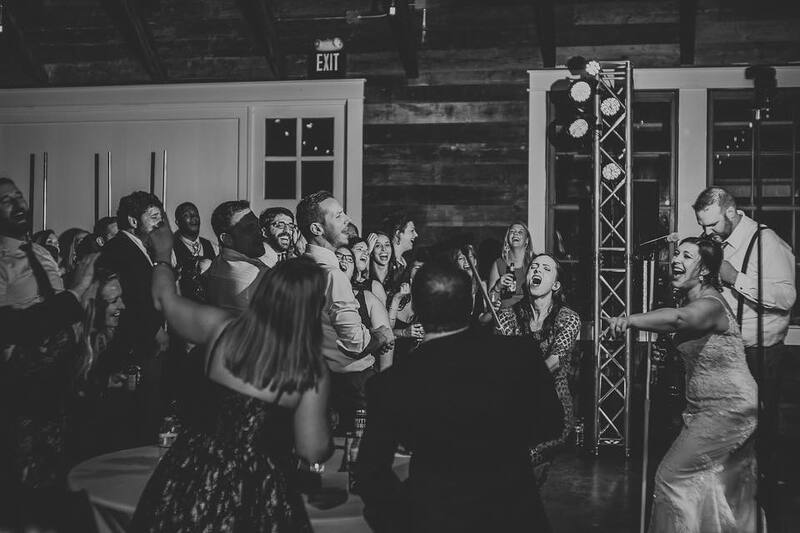 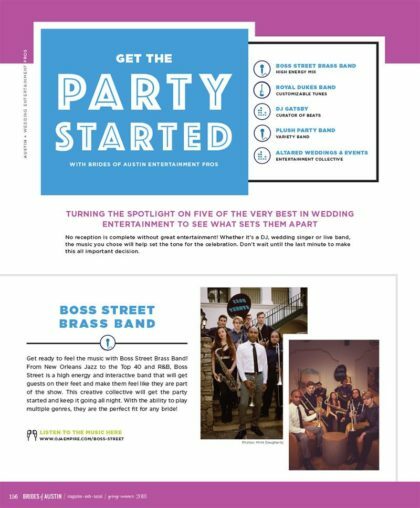 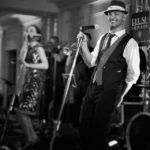 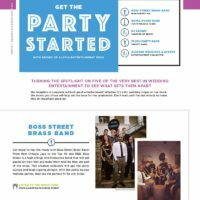 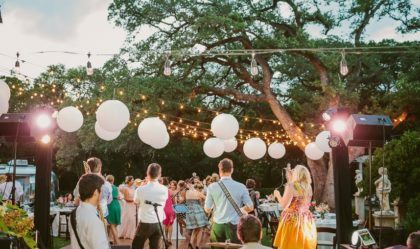 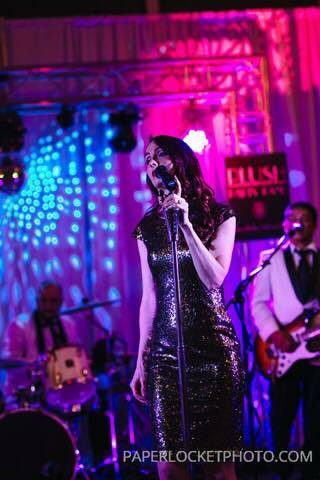 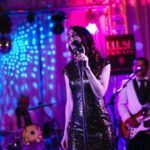 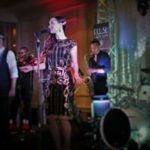 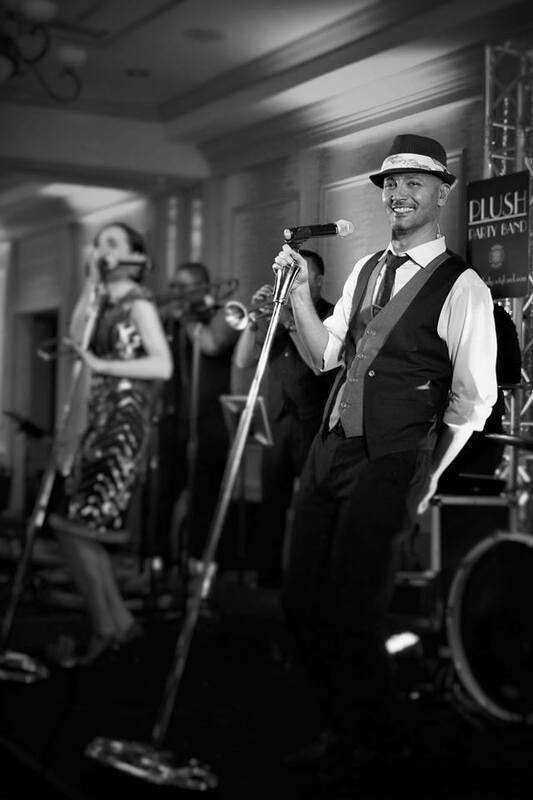 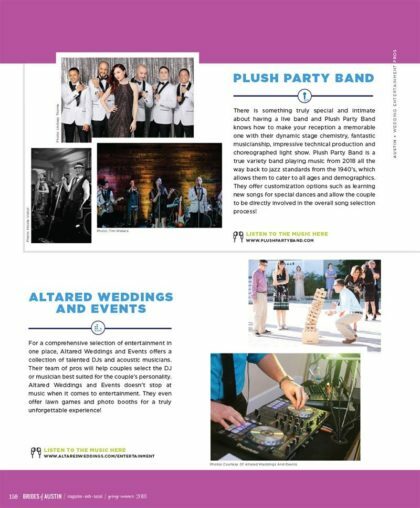 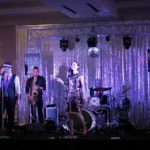 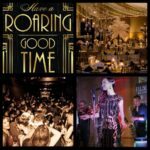 Plush Party Band is a modern wedding entertainment package to coordinate all of your wedding music needs. 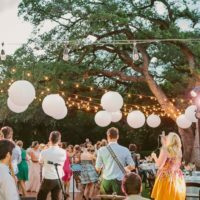 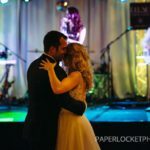 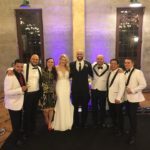 From a string section or acoustic music for your ceremony to, a jazz cocktail hour and swing music for your reception dinner. 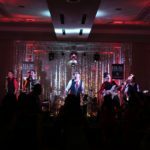 Then, turn up the energy to fill the dance floor with the best of Motown, all of your favorite 80s & 90s medleys, and sing along songs. 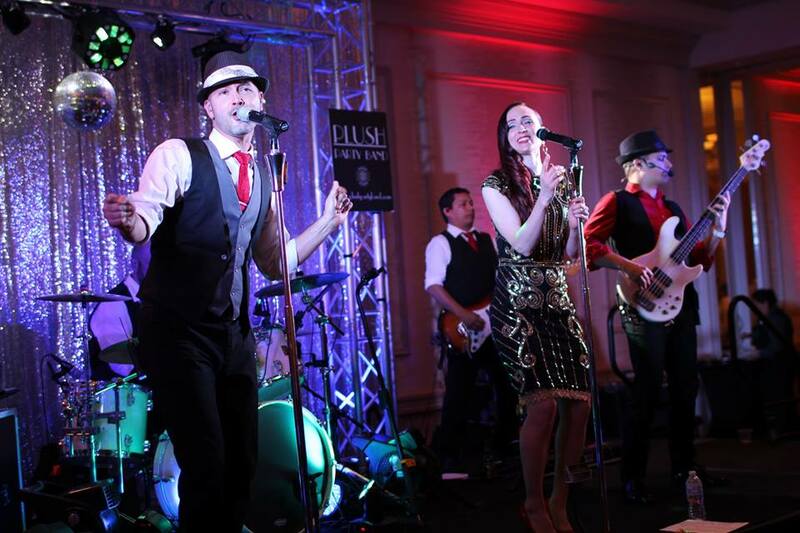 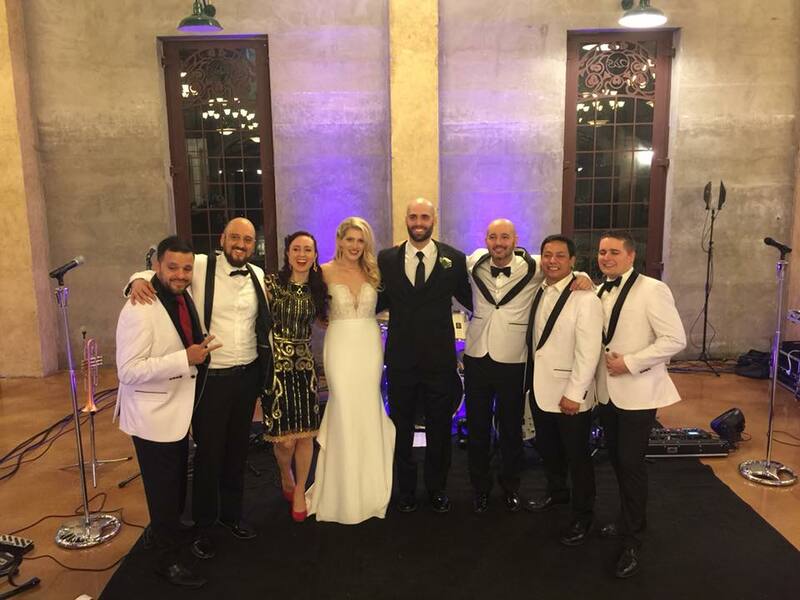 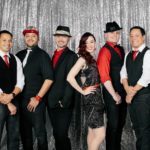 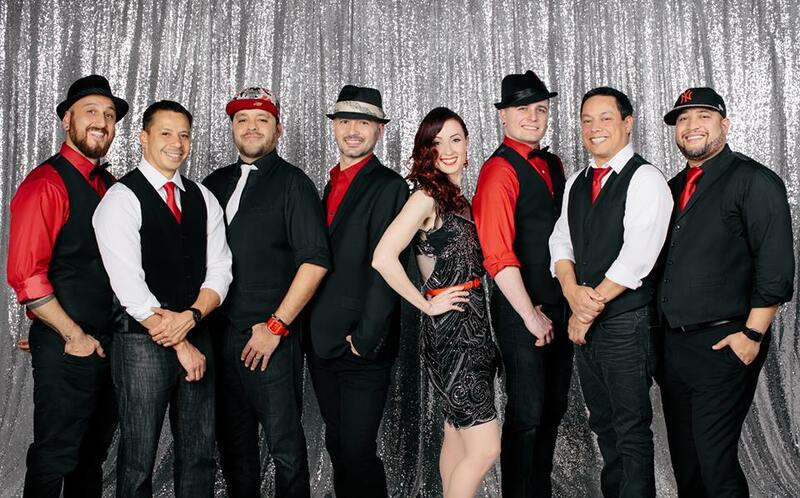 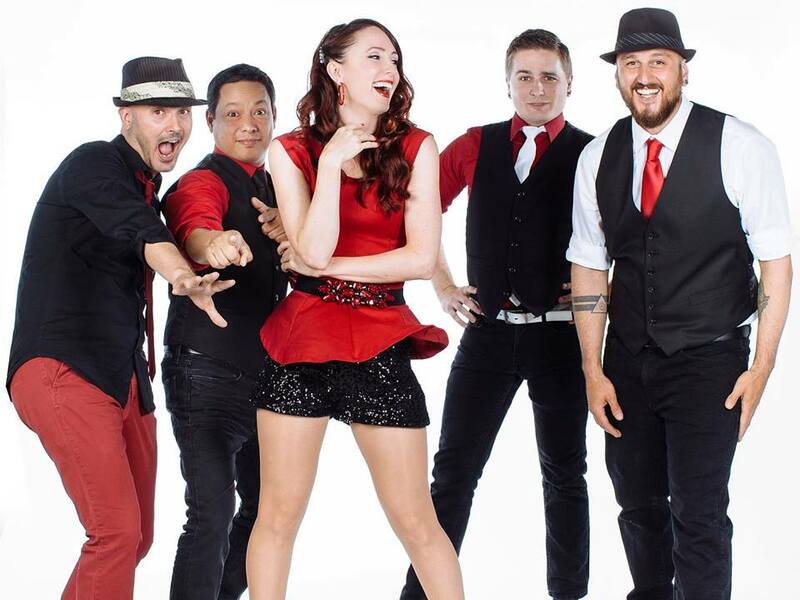 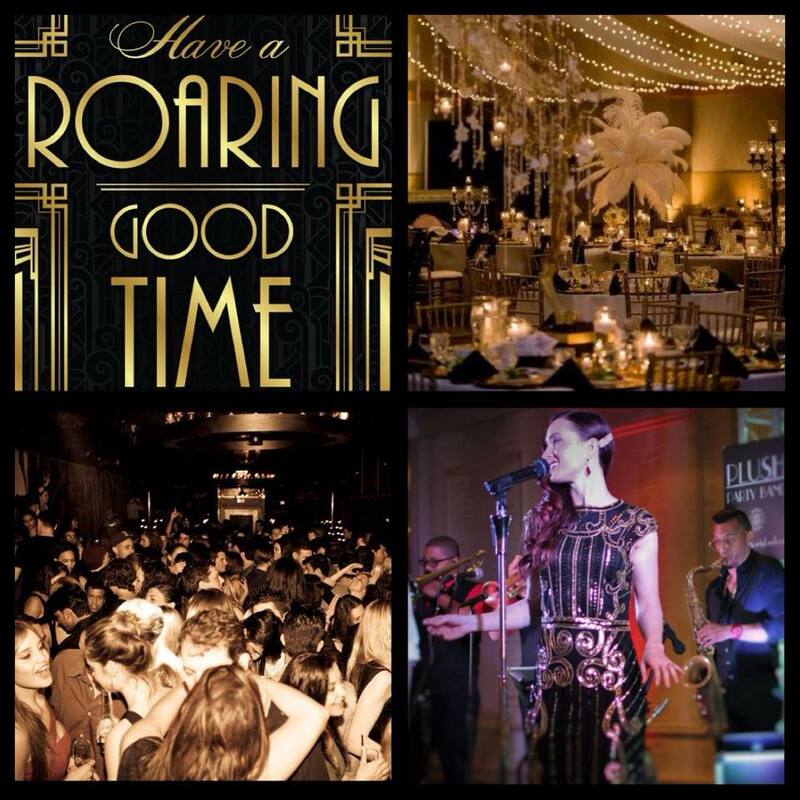 This classy but never boring band will have your guests raving about your reception for years to come. 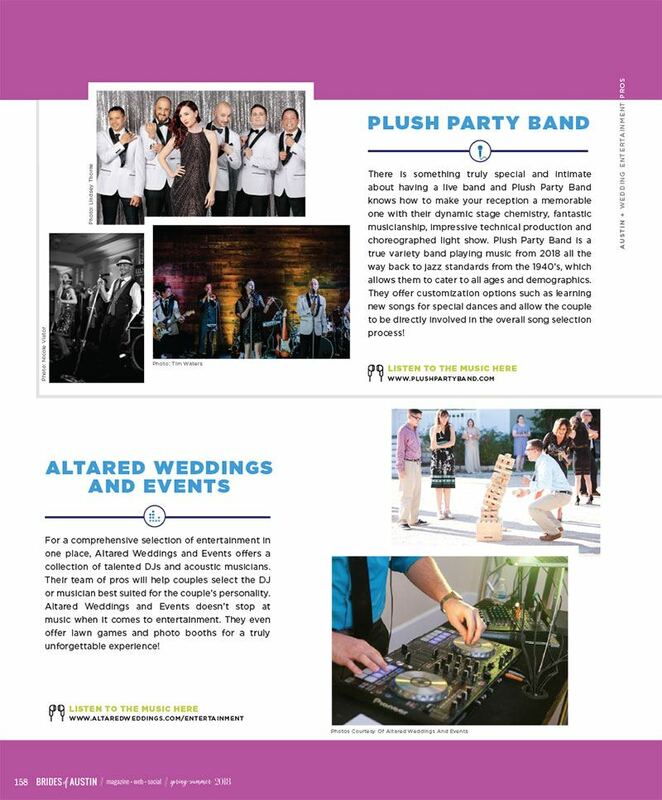 Plush Party Band will tailor a wedding package just for you based on your needs and preferences. 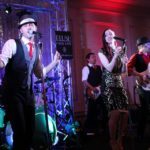 Choose from an song list of hundreds of songs, special request songs, full Plush Brass Section and Plush String Section. 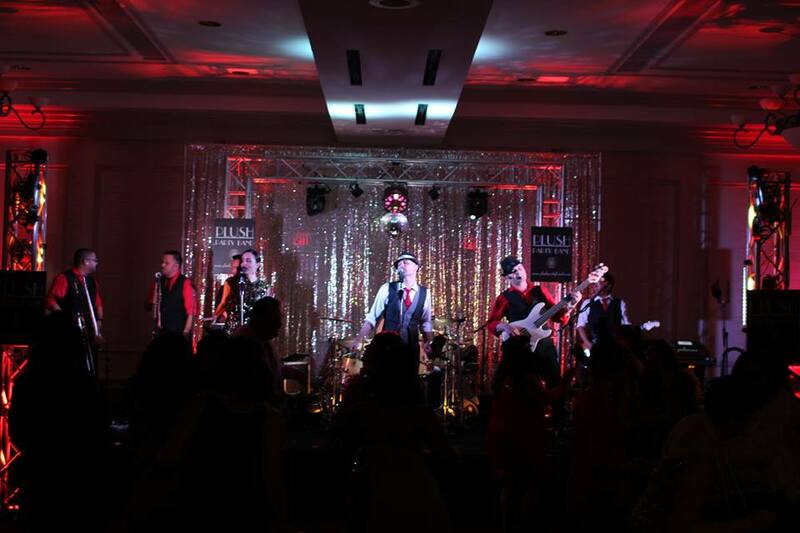 Plush provides state of the art stage lighting and sound technology to meet the needs of any venue. 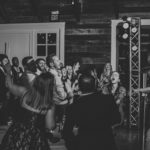 MC services, DJ services or customized playlists for band breaks available. 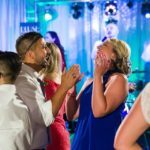 From your very first contact, Alyssa will be there to work with you on every detail to be sure your day is stress free and everything you dream. 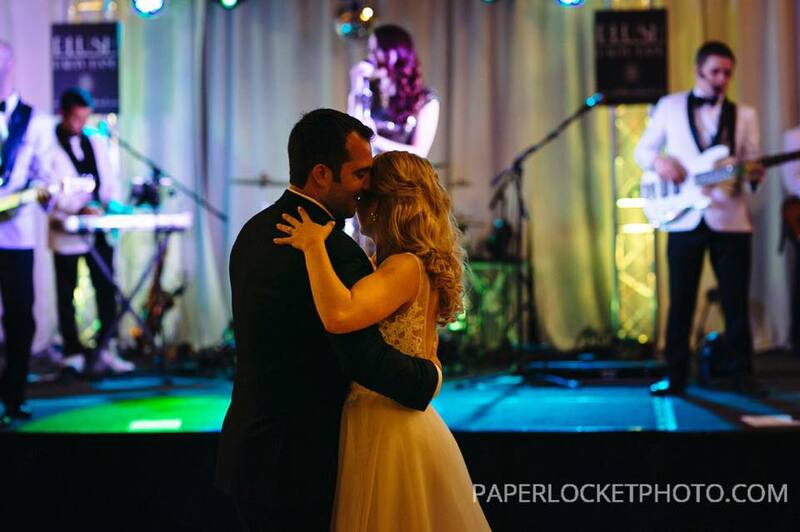 Allow our many years of performing weddings expertise, guide you easily through the process.